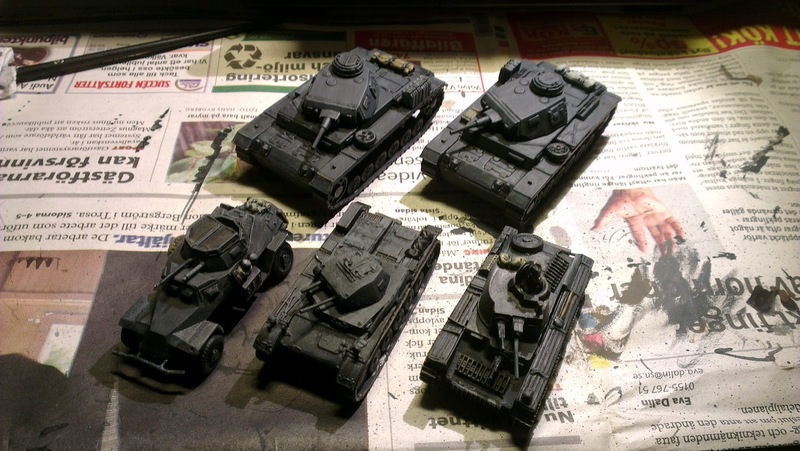 Ramblings of an insane mind: Back to painting again! Jay! Back to painting again. For Flemcon Thomas and I had to come up with a scenario and game last minute as others had become ill. 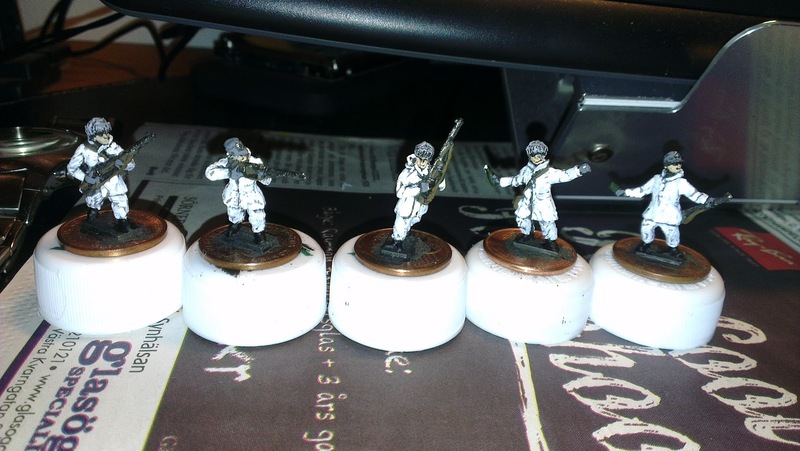 So I quickly painted some German armour for a France 1940 game. 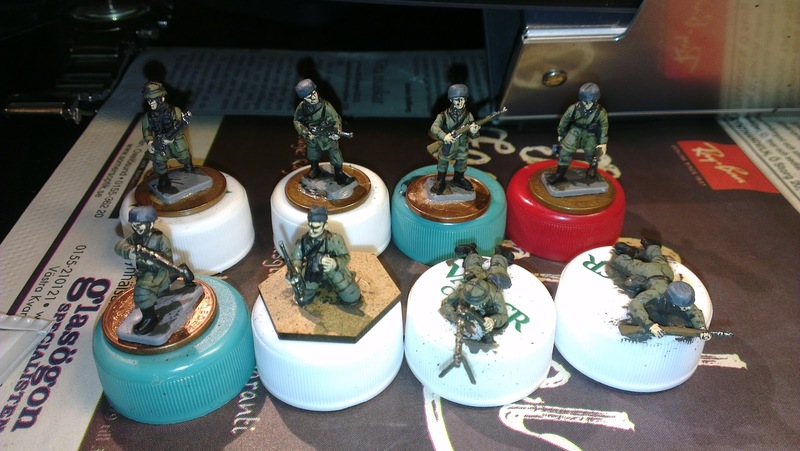 That kind of kickstarted me, and I've been painting more regularly since, completing some of my Warmodelling winterwar Finnish and some Valiant Fallschirmjäger. They still need basing and varnishing, but that should be done as soon as I have a bit of a batch so I can do them in 1 sitting. Some pictures underneath (not the best of pictures, the lighting wasn't too good...). 2 PzIII, a PzII, a Pz38(t) and an Sdkfz222. The PzIII are HAT/Armourfast, the rest is SHQ. All 20mm. 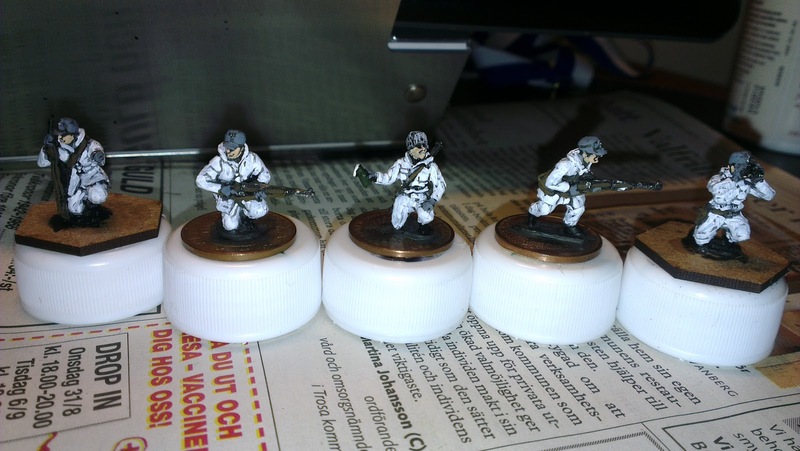 This and the picture above are Warmodelling (ex-Fantassing) Winterwar Finnish. Yeah, back on the horse again! Now you just have to keep it up. We shall have to provide you with regular goals in the form of "we need these troops for this game" deadlines.